A new, unstructured, quad-dominant surface meshing technique complements Pointwises industry-leading structured grid generation methods by providing a faster, more automated method for generating quadrilateral surface meshes. These surface meshes can then be used as the basis for Pointwises T-Rex (anisotropic tetrahedral extrusion) technique for rapid generation of boundary layer resolving hexahedral layers. Complementing the near-wall, boundary layer resolution provided by T-Rex, Pointwise V18 now includes geometry-based clustering sources for resolution of off-body flow features such as wakes and vortices. Pointwise V18 also includes the ability to retain hybrid meshes in their mixed-cell format for mesh metric examination and other tasks, support for faceted geometry models with a mix of triangles and quadrilaterals, high resolution monitor support, and user interface improvements that span all aspects of the softwares functionality. Pointwise, Inc. is solving the top problem facing computational fluid dynamics (CFD) today - reliably generating high-fidelity meshes. 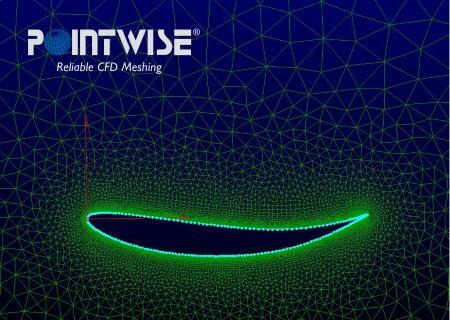 The companys Pointwise software generates structured, unstructured and hybrid meshes; interfaces with CFD solvers, such as ANSYS Fluent, STAR-CCM+, ANSYS CFX, OpenFOAM, and SU2 as well as many neutral formats, such as CGNS; runs on Windows (Intel and AMD), Linux (Intel and AMD), and Mac, and has a scripting language, Glyph, that can automate CFD meshing. Large manufacturing firms and research organizations worldwide rely on Pointwise as their complete CFD preprocessing solution.